Celebrity Makeup Artist, Kyriaki Savrani, worked on supermodel Anna Cleveland to achieve Anna’s ultra-glam look for last night’s 2017 CFDA Awards. 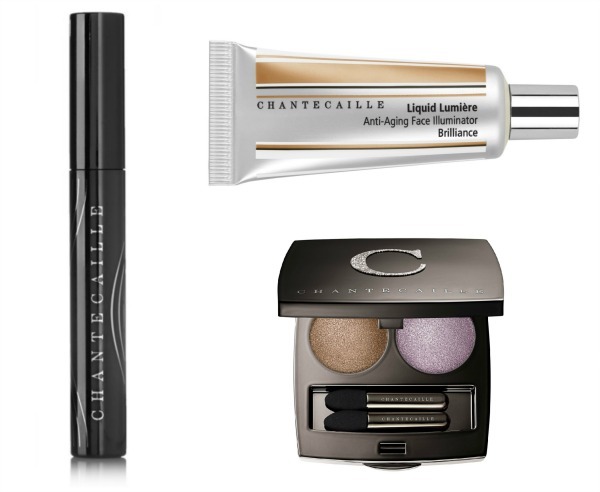 We have the complete GLT exclusively for The Makeup Examiner readers! Start with the lightest shade of the palette. PRO TIP! To get a natural contour, after using your bronzer use the blush on the apple of the cheeks to make the cheeks look flushed! The 2017 CFDA Awards were held last night June 5 in NYC and in attendance among the many celebrities was the stunning Priyanka Chopra. Bringing a little glamour to Priyanka’s look was world-renowned celebrity makeup artist Yumi Mori. Inspired by the Flappers of the 1920’s and the fringe and sparkle of Priyanka’s Michael Kors dress, Yumi created this glamorous gilded look. The Makeup Examiner has all the info on how you can recreate this enchanting look at home! 1. Yumi applied Chantecaille Gold Energizing Eye Recovery Masks ($195) to Priyanka’s eyes for an instant lifting and depuffing effect. 2. She then spritzed Pure Rosewater ($68) all over Priyanka’s face for a light touch of moisture. 3. Yumi dabbed a little bit of Lip Potion ($44) onto her lips. This softened her lips while I did the rest of her makeup before applying her lip color. It created a perfect base. 1. 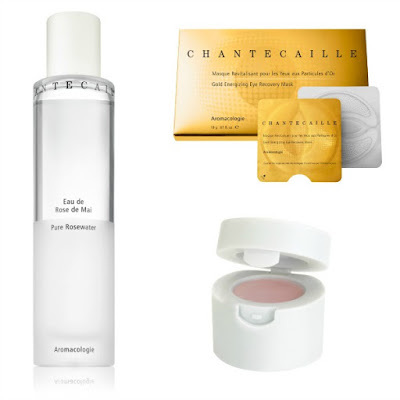 Yumi mixed Chantecaille Future Skin Foundation ($78) in two shades -- Shea and Sand. She applied the mix all over Priyanka’s face with a foundation brush, and then tapped it into her skin with a makeup sponge for a natural looking texture. 2. Yumi used two different Le Camouflage Stylo Concealers ($52) on Priyanka. 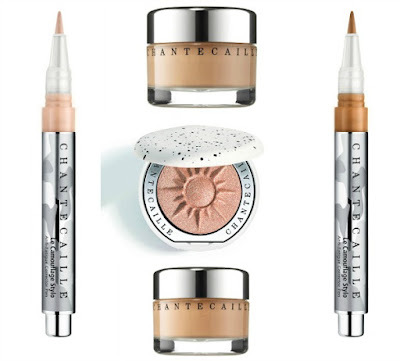 First, she used shade 8 for her under eyes, nose, and around her lips to reduce any redness. Secondly she used a lighter shade, 4C, to highlight her brow bones, cheeks, T-zone, and the bridge of her nose. 3. Finally, she lightly dusted High Definition Perfecting Powder in Bronze ($75) to her T-zone to set her foundation in place. “Gardens of Marrakech” all over her lid up to the crease of her brow bone. 2. At the last minute, Yumi wanted to add a saturated pop of gold to Priyanka’s lids, so she dabbed Lumière ($41) in Brilliance on top of her eyeshadow with her fingertip. 3. She finished the eyes by curling her lashes and added four coats of Chantecaille Faux Cils Longest Lash Mascara ($72) for a bold defined look. 1. 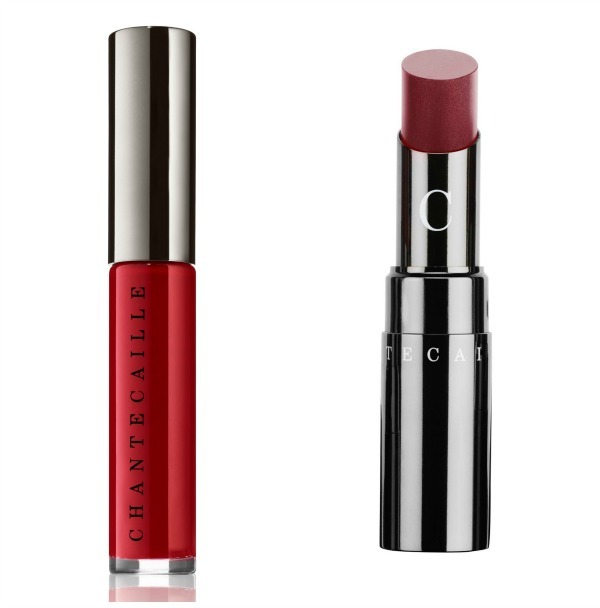 For an opaque bright red lip, Yumi mixed Chantecaille Lip Chic ($38) in Dahlia with Matte Chic ($39) in Carmen. All Chantecaille products are available at online at Chantecaille and select retail locations.